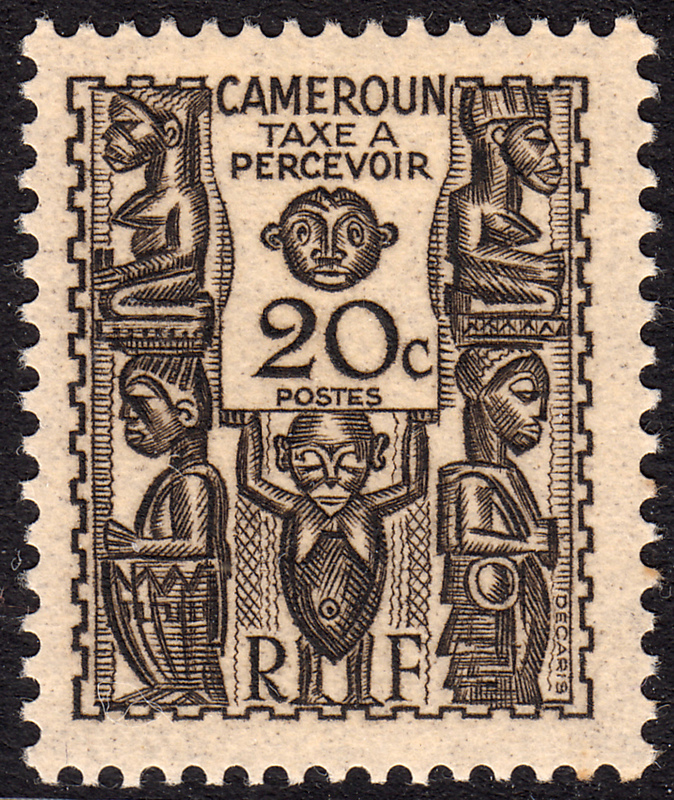 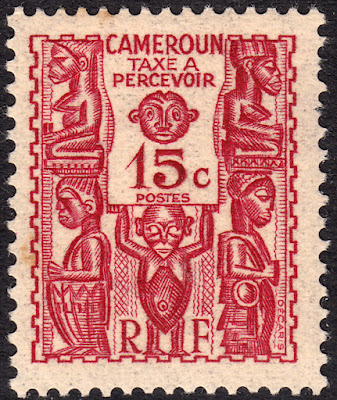 In 1939 Cameroun issued a beautiful set of Postage Due stamps, featuring examples of carved African statues. 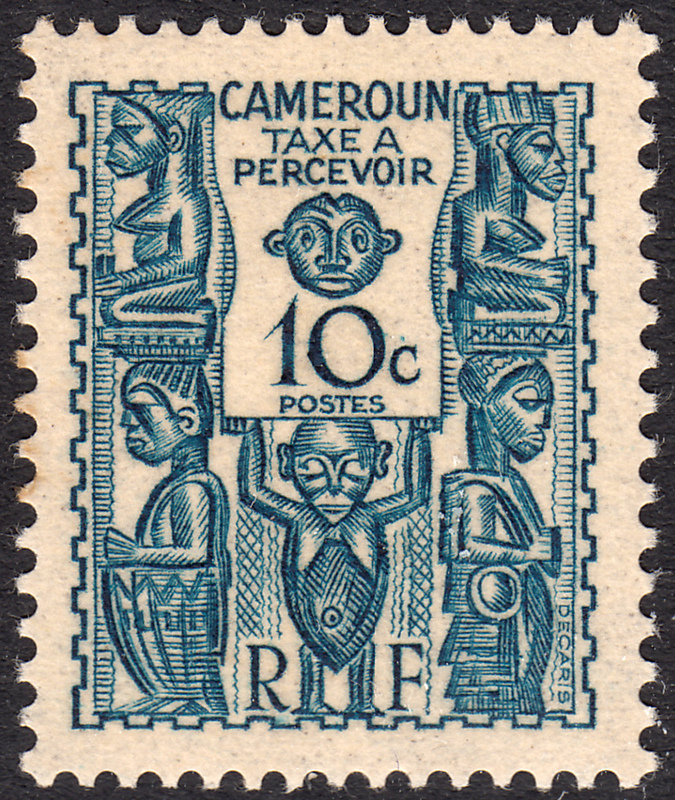 The set comprises 10 stamps featuring the same design. 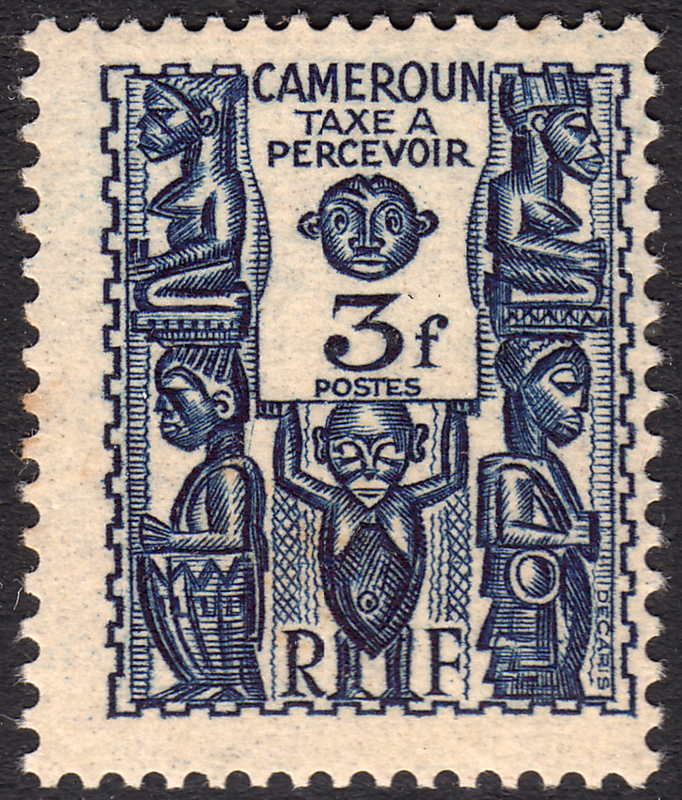 A further Postage Due with the same design, but slightly tweaked was issued in 1944 (but more on that later). 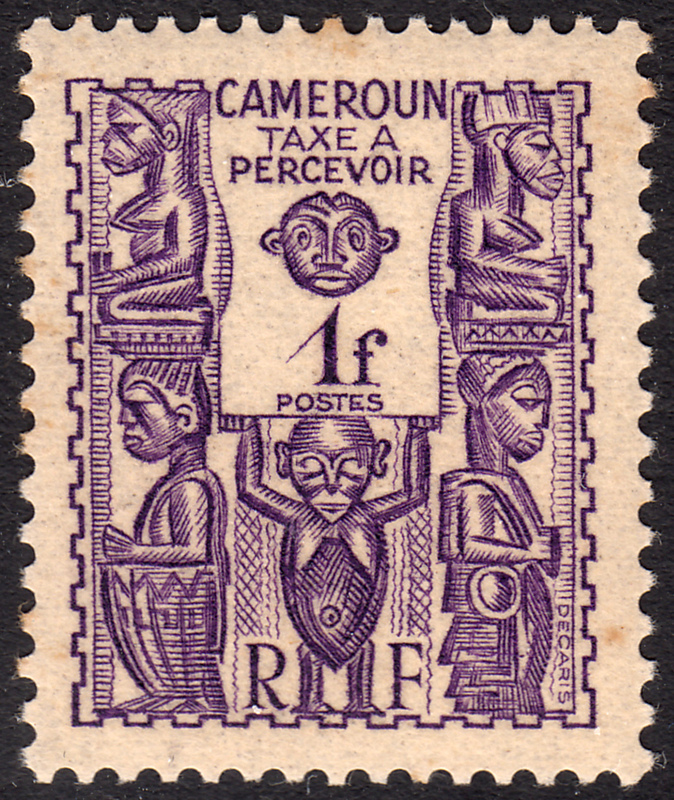 This design was engraved by Albert Decaris. 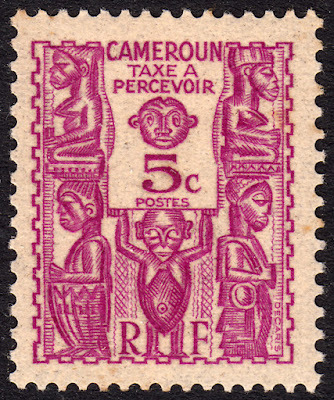 Each value of this set was issued in a different colour, which in my opinion, subtly changes the impact of the design. 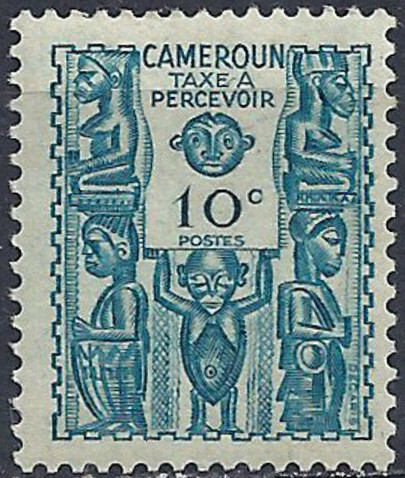 As such I will share all the different values here. 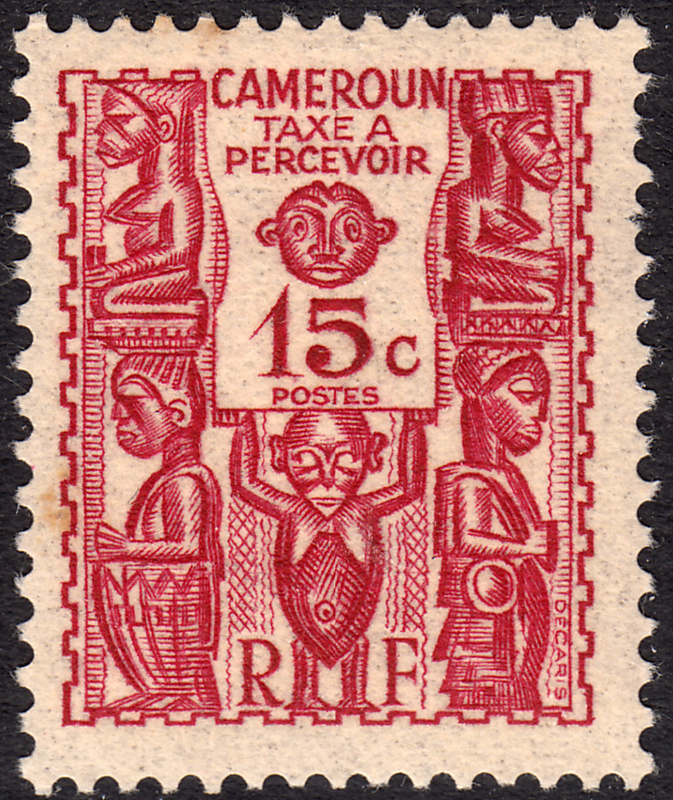 All colours I have used are according to the Scott Catalogue. 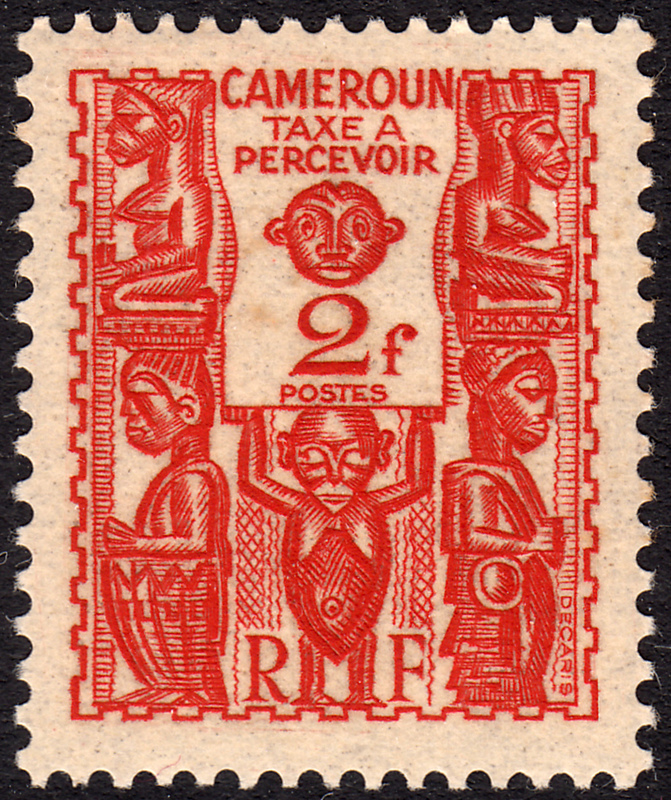 As I mentioned above, there was a further Postage Due stamp of the same design issued in 1944. 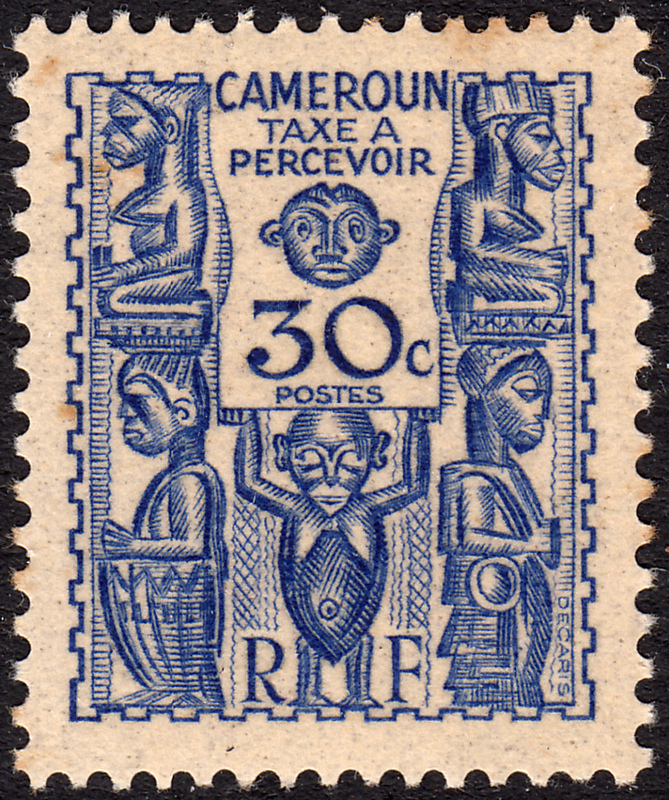 But this stamp is slightly different. Can you pick it? If you haven't spotted it yet, turn your attention to the bottom of the stamp. 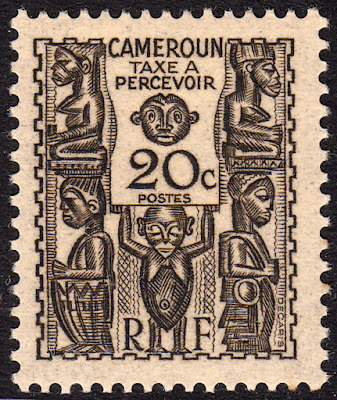 The R & F are missing. 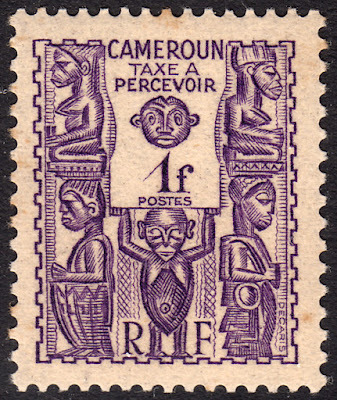 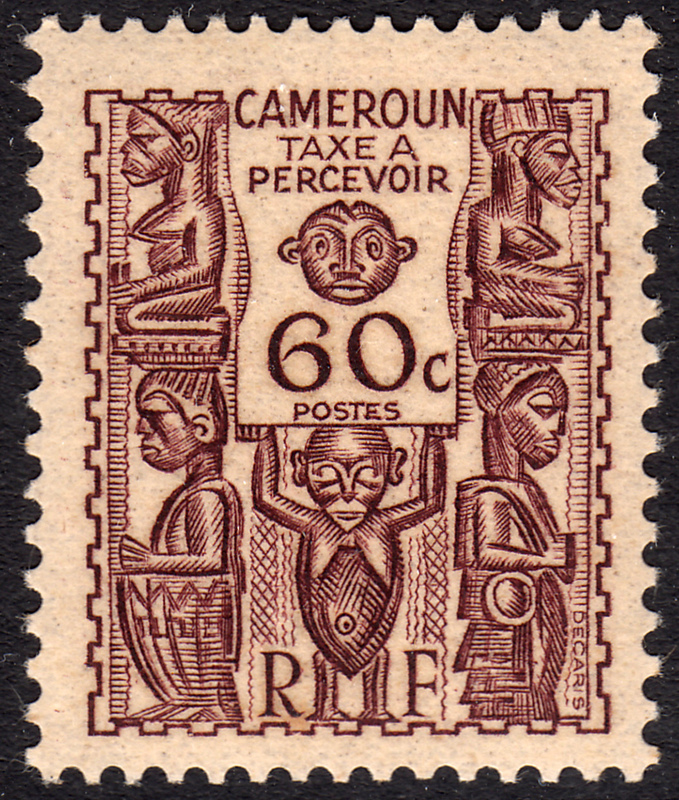 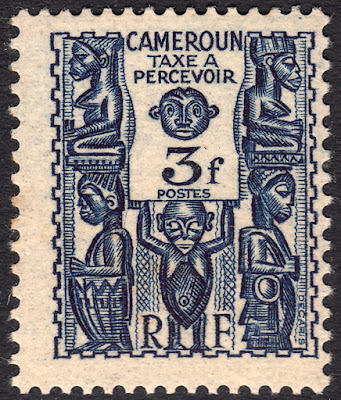 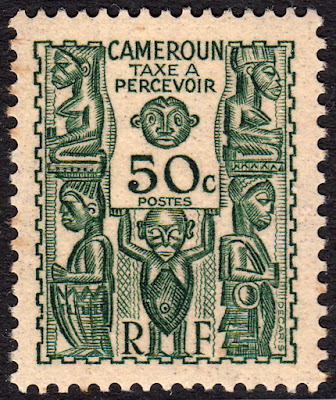 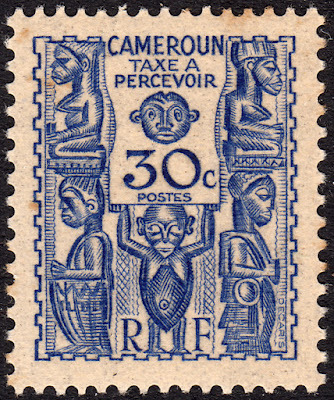 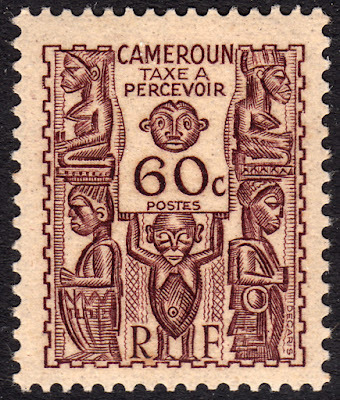 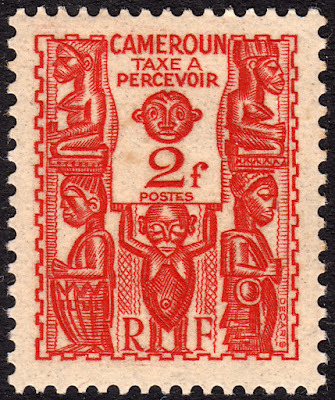 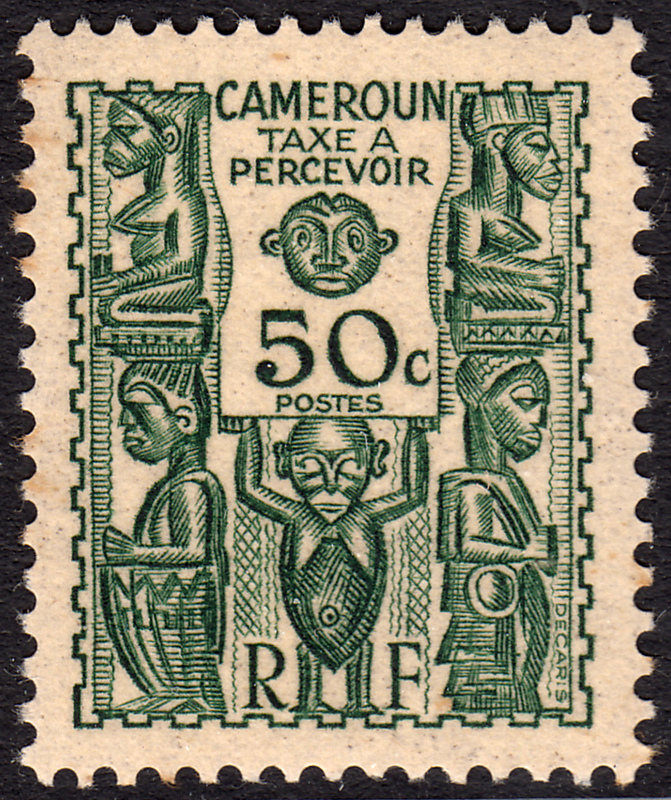 Incidentally, this later stamp was not issued in Cameroun, according to the Scott Catalogue. 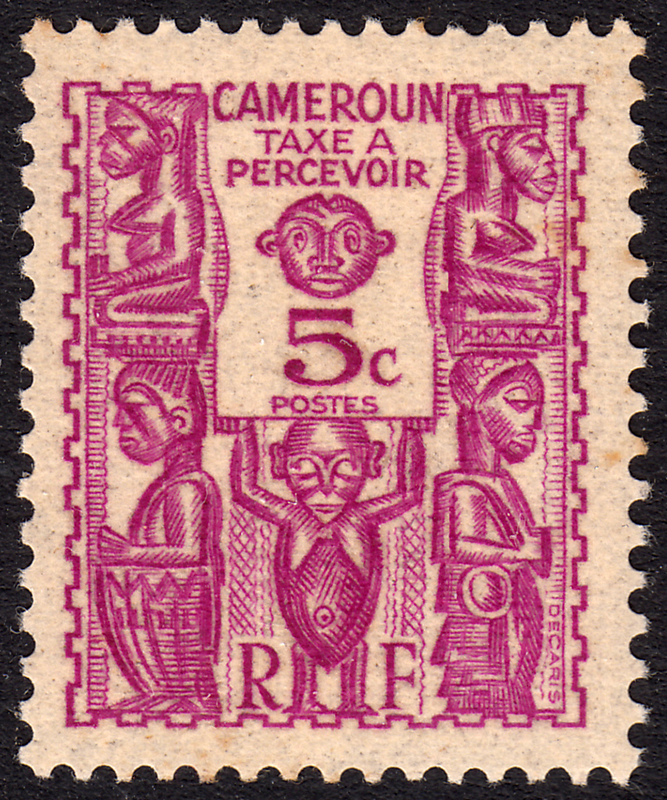 So which colour do you prefer?